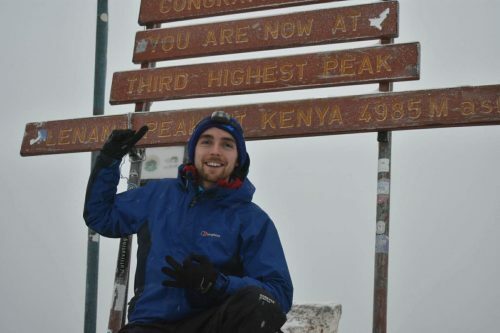 Over a month and a half has passed since I returned from my Kenyan adventures with Gathimba Edwards Foundation. It’s strange to be back to reality after spending 2.5 weeks (which felt more like 2.5months!) in such a new and wonderful environment. 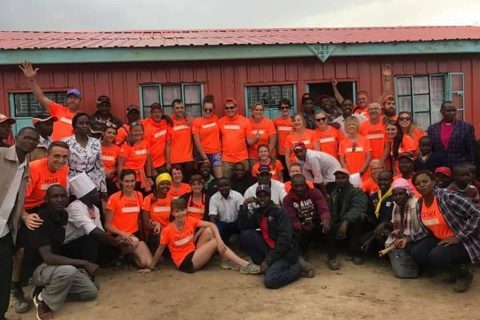 We were very lucky to experience an action-packed trip to many of the Foundation’s projects as well as squeezing in incredible expeditions up Mt Kenya and to the Masai Mara. It’s impossible to share all of the stories here but I hope the pictures and article can convey just how special a trip it really was. If not then I can whole-heartedly recommend joining GEF yourself! The journey to Nairobi was surprisingly smooth, including linking up with some of the Aberdeen contingent at Schiphol, Amsterdam. When we arrived later that evening at Nairobi Airport, Myles and Gideon were waiting great big smiles on their faces – clearly excited for the next couple of weeks ahead. 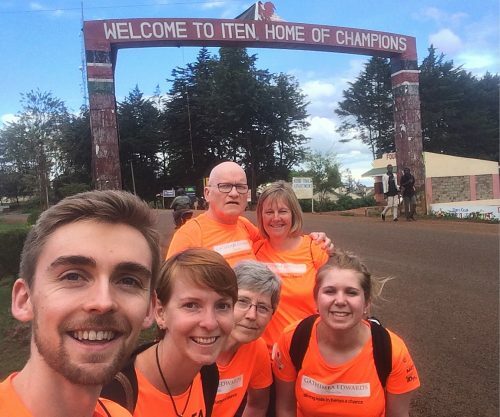 The first day was spent getting to know one another as we travelled over to Iten, where much of the Foundation’s work takes place. After a very turbulent flight over the impressive Rift Valley (from Nairobi to Eldoret) there was a long drive in a Mutatu (mini-bus) from Eldoret to Iten. It was great to experience travel ‘Kenyan style’, although more than a bit terrifying at times! Over the next few days in Iten we visited many amazing people, including local families, Mama Rambo – whose café has been revolutionised by GEF’s support – and the local primary school. The first family we visited had been living in what can only be described as a mud shack with a hole-riddled stick roof, which sadly wasn’t the worst home we visited. 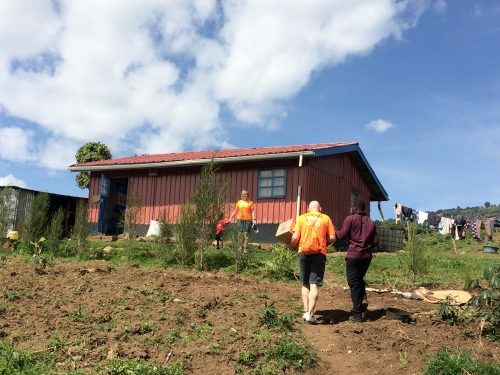 It was unbelievably inspiring to witness what they had achieved at their new home, which GEF built during one of the first volunteering trips. The eldest son, Emmanuel, took great pride in showing me around their land where they are now able to grow all sorts of fruits, vegetables and crops as well as keep honey bees. GEF’s support has enabled the family to become much more self-sufficient, including selling their produce for income. GEF have also found sponsors for all of the children so that they can attend school full-time. One of the most special and surreal parts of the trip for me was arriving at the family’s home where Kevyn, a previously very sombre and shy 2 year old boy, toddled straight up in to my arms. I think we were all blown away by how bright and playful the kids were. Watching Gideon, Karen, Lorna and Claire singing songs and dancing with 15-20 local kids was brilliant. Our next visit that day was to a family further up the valley who had sadly lost their mum to AIDS only a few weeks before our arrival. It was humbling to meet Ascar (the teenage daughter of the family) and hear about her dream and determination to become a lawyer – which is a very realistic prospect now that her school fees are supported by GEF. The education system in Kenya is very different to Scotland. 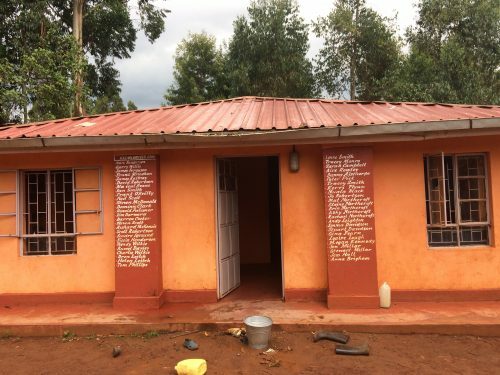 The different classes are determined by ability rather than age, which means that many Kenyans only attend school if and when they can afford to. They are then only able to progress beyond certain levels depending on their grades. All too frequently during our time in Kenya we met kids that were highly motivated and successful at school that would have never have had the chance of reaching further education and a brighter future if it weren’t for the school fees support they receive from GEF’s sponsors. 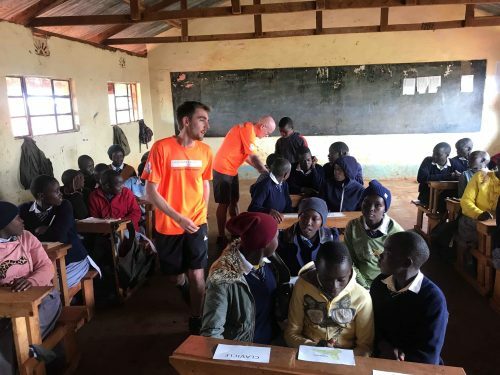 For many of us, teaching at the local primary in Iten was a highlight of the trip. Just like with Ascar, we were struck by how determined the kids were. I have never met so many budding surgeons, lawyers and police officers. I had a wonderful time teaching with Alan, a retired Head Porter at Aberdeen Royal Infirmary. 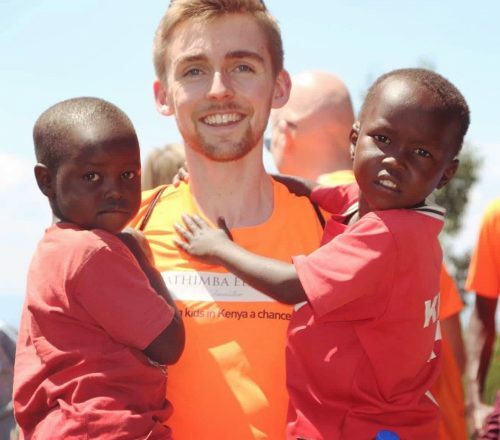 He’s a real character and has raised more than £15,000 for the Foundation – including joining them in Kenya on four occasions. We had a great laugh sharing at Hugo’s Guest House where we witnessed some of the most breath-taking views across Kerio Valley. Alan and I taught three classes about the bones and organs of the body … and were a bit concerned on a few occasions that the kids might know more than us! It was a really special experience. 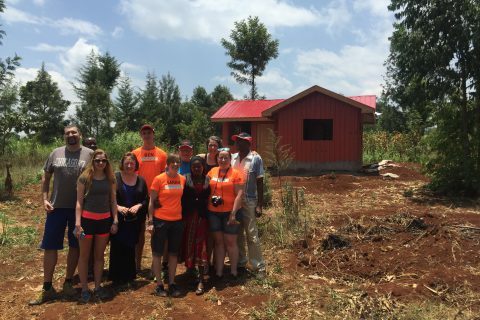 After Iten, we travelled back over to Nairobi and out to a place called Karatina, where Gideon’s family live and GEF’s offices are situated. During our time in Karatina, we continued with our family visits as well as visiting two children’s homes. First, we visited The Pavillion Village Children’s Home where the GEF journey began. The children of the home are now all fully sponsored by people form the UK (and beyond) which means that they are now all properly fed and clothed and back in full-time education. They also live in the much-improved environment of the home itself. GEF have renovated the original building, built a new dormitory, provided electricity and repaired the road leading to the home. It was fantastic to finally meet the kids, Agnes and Pastor John (the couple that run the home) and bear witness to the changes the Foundation have made to their lives. Equally inspiring was our visit to Cheerful Children’s Home, run by the wonderful Margaret. The home cares for 19 profoundly handicapped children with conditions such as Down Syndrome and Autism. We were all heartbroken to learn of Margaret’s difficulties in running the home. She continues a full-time job as an Additional Needs Teacher, uses her salary to fund two other staff to take care of the kids during the day, feeds and looks after the children in the evening and then spends the late evening making handbags to generate more income to run the home. She receives only £75 of government support per month to feed all 19 children and often has families turning up begging for her help to look after their child. Yet, despite all of this, she was bright, gracious and welcoming … and wouldn’t let us leave without a gift of bananas! We were always spoiled by the generosity of the locals. 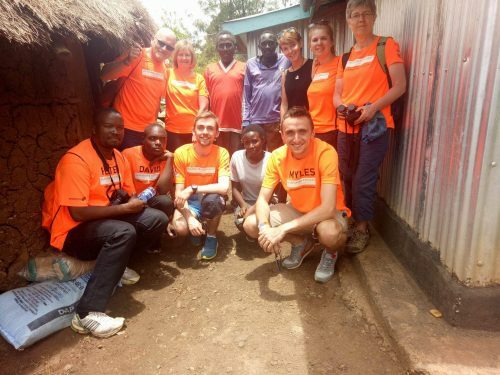 I feel very privileged and humbled to have met so many incredible people during my time in Kenya. 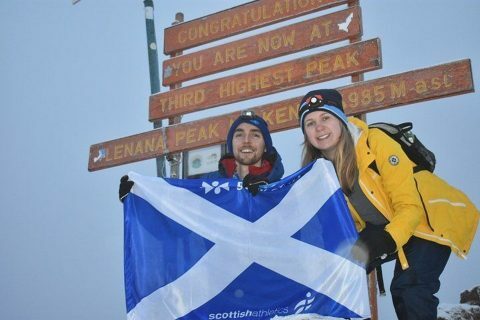 I have so many stories that I can’t even begin to describe the feelings I have about the personal achievements we were lucky to experience during the trip as well – including having lunch with world record holders, Mary Keitany and Wilson Kipsang, in their own homes; completing a gruelling 10km at 2300m altitude; summiting the 4985m Lenana Peak of Mt Kenya (one of the scariest and best experiences of my life) and spending a weekend with one of my best mates on safari in the iconic Masai Mara. I will never forget star-gazing on the final ascent of the mountain at 3am or seeing a leopard sleeping in a tree or the dozens of giraffes, lions and elephants Myles and I gazed at in awe on the Mara Plains. I am exceptionally grateful for the interest my friends, family and local people have taken in the trip and the Foundation itself and I am pleased to report that, through kind donations and the successful pub quiz at The Granary, we have raised £955 for the vital projects GEF operate. I hope this article will be able to convey what an enormous difference that support will make – it will literally change lives. I would like to say a huge thank you for everyone’s generous donations, the raffle prizes donated and the amazing support from my parents and family friends. I am especially grateful to Robert Haddow, who proved to be an excellent quiz master, and Janette McQuarrie for her tireless work in making the quiz a success. 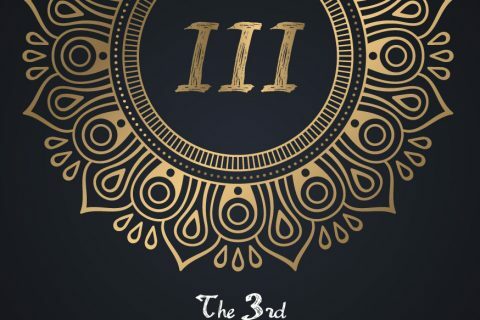 Finally, if you ever have the opportunity to be part of an adventure like this or to help others in need then please do grab that opportunity with both hands … you won’t regret it. 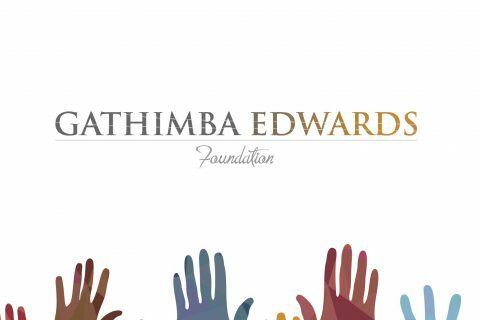 Please email us on info@gathimbaedwardsfoundation.org if you have any questions regarding future Kenya-22 trips.